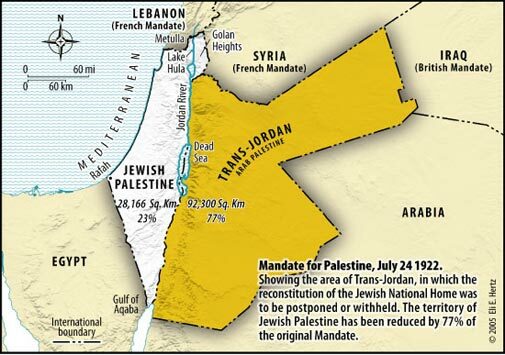 Resolving the Arab - Jewish conflict: Palestine - Where To From Here? The PA has refused to resume direct negotiations until Israel agrees to impose a construction freeze in the West Bank for the duration of such resumed negotiations - which Israel refuses to do. 1. Israeli Finance Minister Yuval Shteinitz and PA Prime Minister Salam Fayyad concluded (July 31) arrangements with respect to the transfer of goods between Israel and the PA and related tax procedures as recommended by the International Monetary Fund. 2. In light of the PA‘s budget crisis, Israel transferred at the beginning of the month of Ramadan (July 27) an advance of NIS 180 million (approximately USD 45 million) of August tax remittances. The money was intended to help the PA pay salaries in time to celebrate the holiday. 5. The remains of Palestinian terrorists were returned (May 31). 6. Israel agreed to develop the gas field off the Gaza shoreline. 7. Israel is promoting infrastructure projects in Area C, including completion of a master plan. In 2011, 119 infrastructure projects were approved, 58 of them with international financing. Fifteen projects relating to the construction and renovation of infrastructures for schools and clinics have received “fast-track” approval. 3. Generating repeated negative statements against Israel. 5. Ongoing institutionalized incitement in the Palestinian media, attacking Israel and the legitimacy of the State’s existence. 1. Mr. Abbas is apparently uninterested or unable—due to his standing in the domestic Palestinian scene vis a vis Hamas, and in light of the regional geopolitical situation—to reach an agreement which would bring an end to the conflict, including addressing all the core issues. 2. Mr Abbas is creating a culture of blaming Israel for delaying the process, while attempting to achieve advantages without negotiation via blackmailing and ongoing attempts to internationalize the conflict - which he says can be confirmed by the Jordanians. 3. In a calculated manner, Mr. Abbas is focusing his dialogue with the international community on the subject of settlements. Unfortunately - Mr Liberman further claims - the international community tends to accept this discourse lock, stock and barrel, without criticism or a nuanced approach. This is a damaging attitude, which according to Mr Liberman does not reflect the reality on the ground. 1. The entire area of the settlements constitutes approximately one percent of the area of the West Bank. 2. The last settlement which Israel constructed was in 1991. 3. In the framework of the peace accord with Egypt (1979), Israel evacuated all the settlements and military bases in Sinai. 4. In 2005 - Israel evacuated all of its settlements from the Gaza Strip, as well as four settlements in the northern West Bank - and since such withdrawal 14,000 rockets and missiles have been indiscriminately shot at towns and villages in southern Israel from Gaza. Mr Liberman’s prescription for restarting the stalled negotiations calls for fresh general elections for the PA to enable a new, legitimate, hopefully realistic Palestinian leadership to be elected. Such elections were due to be held in 2010 and have since been postponed several times. No new date has been set for such elections. Israel’s Prime Minister Benjamin Netanyahu and Defence Minister Ehud Barak have since made it very clear that such a proposal does not represent Israel‘s official position. Clearly the European Union could not in such circumstances be expected to endorse Mr Liberman’s proposal as a possible circuit breaker to get negotiations started again. However - the European Union cannot keep walking the diplomatic tightrope and simply ignore Mr Liberman‘s letter. Surely the way forward now requires the European Union to indicate whether it considers that the PA should resume negotiations without preconditions in the light of the “significant gestures“ made by Israel. If the answer is in the affirmative - then the European Union should indicate whether the PA’s refusal to do so would result in the PA being isolated from total or partial diplomatic and financial support from the European Union until the PA resumes such negotiations. A one line throwaway response from the European Union will not suffice. Baroness Ashton needs to pen a detailed reply to Mr Liberman without delay. Mr Liberman has put Israel’s cards on the table. Now it is time for the European Union to do likewise.